Because the best gift you can give your loved ones is the gift of choice. Here's how you do it! Gift giving is becoming more and more challenging these days. Aside from dealing with the Herculean traffic surrounding major shopping zones, you are also not sure if your gift choices are something that your intended recipients will appreciate. Fortunately, you can increase the chances of giving the best presents with some out-of-the-box but practical gift-giving ideas. Give gifts that make way for memorable experiences. Some examples include concert tickets, hotel staycation packages, spa sessions, and movie passes. This is the best gift that you can give to amazing people in your life who are often too busy to take care of their own leisure activities. Tired of the usual gift ideas? You can get a jar and fill it with ice-pop sticks or strips of paper. Each strip of paper or stick contains favors or treats that your recipient can "claim" from you any time of the year. It can be something small like a free cup of coffee, a back rub or back massage, a household-chore pass, or even free babysitting hours for your loaded mommy friends. This is one tip that works only if you exercise caution. Some of the gifts given to you in the not so distant past that you did not get to use can be considered as a good gift idea this holiday season. For example, that exquisite calligraphy set your aunt gave you last year may be in better hands with your more artistic BFF. Just make sure that you are not returning the gift to the original sender! Everyone has his or her own set of talents. Got a flair for baking fruitcakes or an artistic hand? 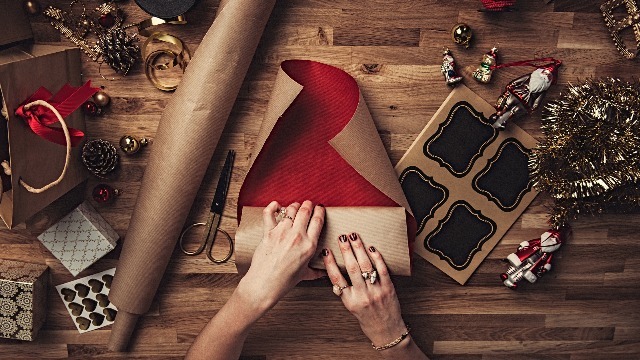 Create your own personalized gifts for your nearest and dearest. Aside from providing a unique gift, you may even possibly be promoting your skills, services, and products. You can enlist a single big group gift for someone going through major life changes with the help of your entire family or barkada. Instead of buying a small item for that special person, you can get all your other loved ones to come together and make a more major purchase for him or her. A friend who is getting married, for example, may benefit more from a major appliance bought by a group than a bunch of tiny decorative trinkets given by separate individuals. Of course, a gift certificate or gift card is the quickest, win-win solution for you and your recipient. It is a hassle-free, portable gift idea that does not require fancy wrapping and ensures that your recipients get what they want. 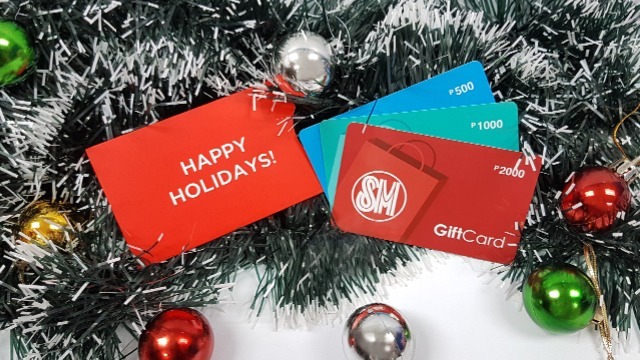 If you're planning to give someone a GC, make it the SM Gift Card. It's pre-loaded with a set amount and he or she can choose from numerous items at SM retail establishment crowd favorites like The SM Store, SM Markets, Toy Kingdom, Uniqlo, Forever 21, Baby Company and more! Level up your gift-giving skills and check out this cool gift idea today.